Blog posts tagged "Steven Adler"
We had the pleasure of interviewing Steven Adler, CEO and founder of Sacred Chocolate. In 2006, Sacred Chocolate introduced the first raw chocolate bar in the world. (Raw, in this case, means you’re taking the cacao seed—the primary ingredient of all chocolate—and not roasting it or grinding it at temperatures above 115 degrees Fahrenheit). What strikes us about Steven’s story is that he’s a rocket scientist turned chocolate scientist! Applying his passion for engineering, raw foods and spirituality to chocolate making, Steven, along with his partner David Wolfe, were able to create one of the finest organic chocolate factories in California and perhaps the United States. Sacred Chocolate’s commitment to create organic, high-quality, clean, healthful and tasty chocolate is impressive… we wanted to know more. Here’s what we learned, after talking with Steven. ZO - All the chocolate produced by Sacred Chocolate is raw. What’s so special about raw chocolate? SA - Raw, organic chocolate contains higher levels of nutrients than that of processed commercial chocolate bars. Milk chocolate typically contains only about 30 percent cacao; the balance of the bar is made up of milk powder and cane sugar. 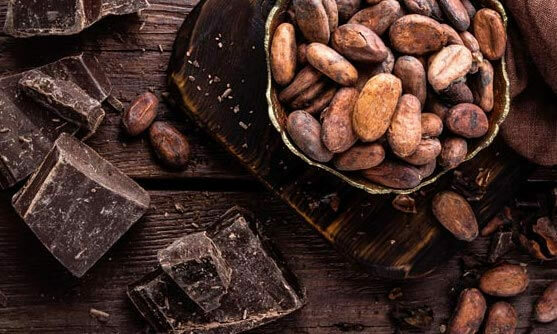 The chocolate industry usually calls cacao “cocoa”; but, in reality cocoa is mainly used in reference to cocoa powder or cocoa butter, which are both derivatives of the cacao seed or “bean”. Botanically, cacao is actually a nut and not a bean. The botanical name of the cacao tree is “theobroma cacao”, theobroma meaning “food of the gods”. Most cacao is roasted over 250 degrees F for 30-90 minutes. When chocolate is cooked at high temperatures, the antioxidants are degraded, as the chemistry changes and heat sensitive nutrients such as phenylethylamine (PEA) are destroyed or diminished. These nutrients, naturally present in chocolate, or more specifically cacao, are beneficial to the human body. A lot of plant chemistry is heat sensitive, and once you start cooking things the nutrients are diminished. The idea behind raw food is to preserve the nutrients and enzymes that naturally occur in the plant or food. Our raw chocolate has twice the antioxidant content compared to a cooked, roasted and or otherwise high temperature processed chocolate bar at the same cacao content. There was a lot of trial and error involved in mastering our process, which involves slowly stone grinding the cacao below 115 degrees Fahrenheit. This is really special. ZO - What makes Sacred Chocolate different from other chocolate? SA - The main difference is we’re willing to do things other chocolate makers aren’t willing to do. We are the only chocolate maker that includes the nutritious husk of the cacao bean in its chocolate. There are a lot of phytonutrients in the husks, which are normally sold off as chicken feed or fertilizer by traditional chocolate makers. Our cacao beans are cleaned in a special proprietary manner that maintains the nutrients and allows us the ability to include those nutritious husks in Sacred Chocolate. If you look at images of our cacao beans, you’ll see they look like almonds because they are so clean. No other chocolate maker is cleaning beans in the way we are. Cacao beans used by traditional chocolate makers are dirty after fermentation and drying, which forces them to roast them and winnow away the nutritious husks to avoid microbial contamination. We’re the only chocolate maker that takes the extra time and necessary steps to make truly “whole bean” chocolate. There’s a lot of energy, electricity and gas just in the cooking process of making chocolate. Cooking alone causes so much greenhouse gas, it’s unbelievable. Sacred chocolate is made in a certified organic, certified vegan, certified kosher, carbon balanced, and 100 percent renewable energy facility in California. Our ingredients are always raw where possible and always of the highest quality in terms of nutritional content, flavor, and food safety. I’m adamant about praying over the chocolate, too. This is done in a sacred space. ZO - What do you use to sweeten your chocolate? SA – Our primary sweetener of choice is organic, eco-friendly maple sugar. It’s sustainably sourced from Canada and the USA, and is actually four to five times the cost of cane sugar, a common sweetener in chocolate. Maple is a wild crop which makes it very eco-friendly. Maple is around 55 on the glycemic index, and it is relatively low in free fructose. The University of Tokyo found in a lab rat study that maple was the only commercial sweetener that improved the liver function of rats. They found it didn’t put stress on the liver of the rats. The University of Rhode Island isolated quebecol in maple, which may help mitigate type II diabetes. Maple is also very high in certain trace minerals such as manganese. We also use erythritol and inulin (from Jerusalem artichoke) as diabetic friendly sweeteners. All of the ingredients we use are sustainable, eco-friendly and of the highest quality. According to Steven, cane sugar has caused an environmental disaster around the world because forests have been cleared on a massive scale to grow cane sugar. Fun fact: Maple trees need to be in the ground for 30 years before they can be tapped for maple syrup and sugar. ZO - We’ve heard there’s something special about the heart shape of your chocolate. Can you tell us more? SA - Yes! It has a special characteristic: It’s built from sacred geometry. Each half of the heart is built out of a perfect, logarithmic curve growing at the rate of phi, which creates the perfect spirals. This reflects the Fibonacci sequence of numbers that show up everywhere in nature (conch shell, galaxies, sunflowers, etc.). 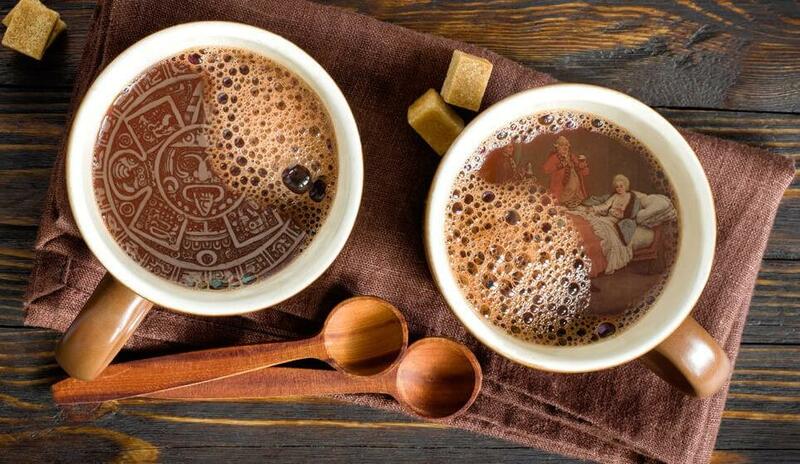 That natural rhythm of life has been built into Sacred Chocolate: a good reminder to live from your Sacred Heart. 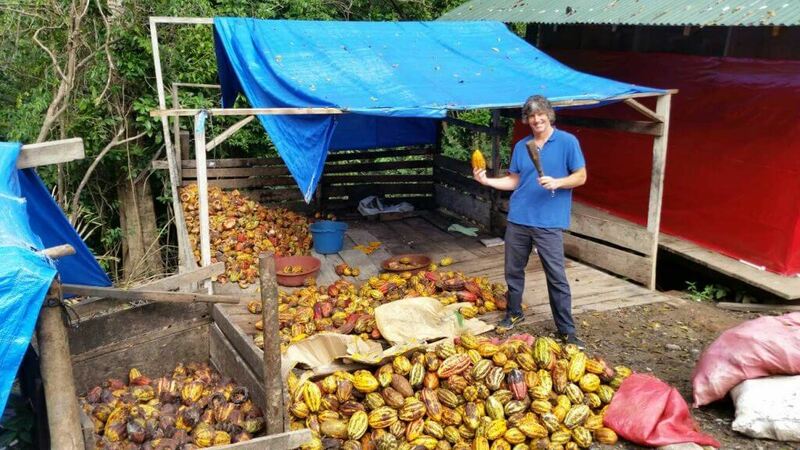 ZO - Where do you source your cacao bean? SA - We source most of our cacao beans from a cooperative in Ecuador, known for its prized heirloom Arriba Nacional variety of cacao. We also source from Sri Lanka and Hawaii. ZO - Hybridized cacao is causing deforestation around the world. Some people are aware of this issue around coffee, but many are not aware of the impact that commercial cacao growing is having in contributing to this agricultural disaster. What should consumers look for when buying chocolate? 3) The cacao bean is heirloom or shade grown in a natural jungle environment. You need to talk to the company directly for this, as you won’t often find it on the packaging. 4) If you’re really health conscious, makes sure it’s raw. After chatting with Steve, it’s evident that he is a smart, passionate, creative guy who cares deeply about the product he produces, the land that it comes from, the people that supply it to Sacred Chocolate, and the customers that end up enjoying these special chocolates. We fully support Sacred Chocolate’s mission to continue to produce the most exceptionally tasting and nutritious chocolate in the world. All of Zebra Organics’ brand cacao and chocolate products are from heirloom variety, shade-grown trees that come from environmentally and socially responsible sources. One hundred percent of our Zebra Organics brand products are eco friendly, non-GMO, certified organic, and fair trade certified. We carry some of the most delicious flavors of Sacred Chocolate; Twilight Dark Chocolate (69%), India Sunset Heart Bar (61%), Mylk Chocolate (58%) and the dairy-free white chocolate, White Passion. We look forward to hearing how you like them!